Doljit was born and raised in BC. She has over 20 years of nursing experience. Her nursing career has included working and training nurses in the Operating Room, teaching nursing students and doing various consulting work in the Health Care Industry. 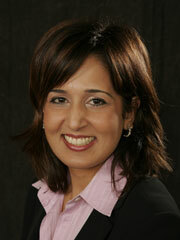 Doljit has 5 years of experience as a Nurse Injector specializing in Botox and Facial Enhancements. She has 3 children and enjoys spending time with the family, yoga, working out, and reading.